This is Job number 3 of our Jobs Word of the day week. Today’s job is Chef or 요리사 in Korean. 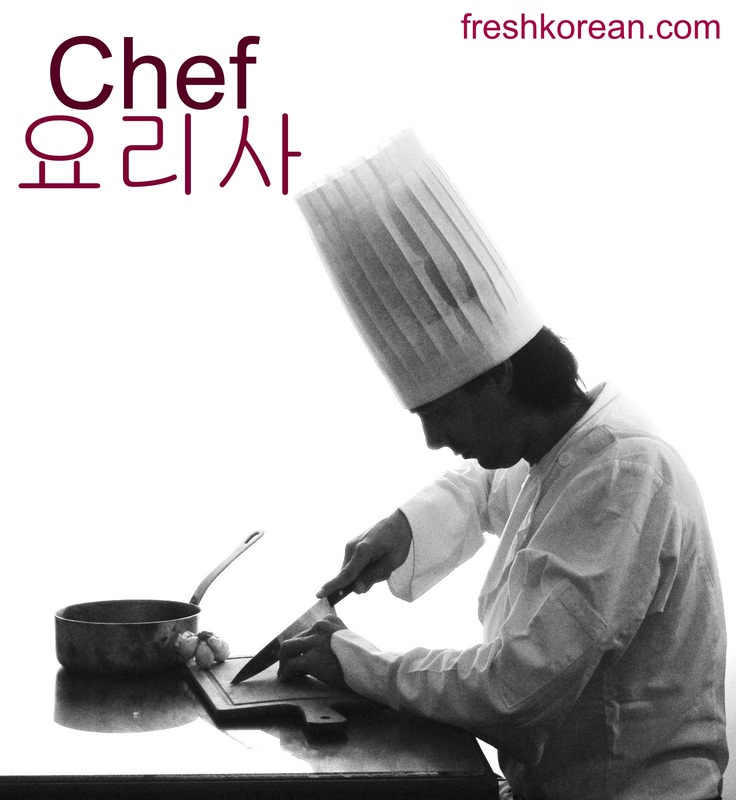 In Korea there is almost a resturant on every corner and therefore as you might expect there are many chefs. Thank you for your time and please come back tomorrow for Job number 4.